It's August and here in Peoria, that means LOTS going on including Grand Nationals Weekend and the Peoria Blues and Heritage Fest! 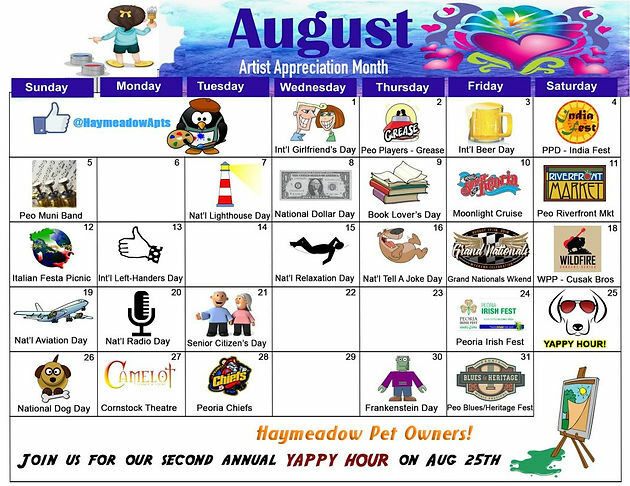 Even more fun than those two events is the Second Annual Haymeadow Yappy Hour! Last year, we thought it would be fun to host a party for Haymeadow residents AND your pets! We had some adult beverages and snacks, and of course treats for our 4-legged guests! So this year, we are doing it again! 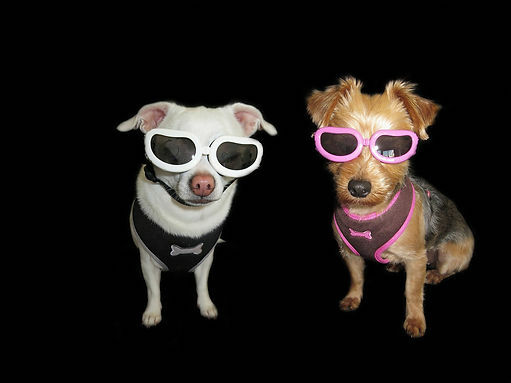 Mark your calendar for Saturday, August 25th between 2pm and 4pm for Yappy Hour! Hope to see you there! Enjoy the month of August everyone! And please don't hesitate to contact us about events you'd like to see on future Haymeadow Calendar Of Events!